A romantic haven located in the heart of Seminyak offering modern-minimalistic luxury villas in harmony with the lush tropical gardens that surround them. This boutique villa style property is ideal for couples and honeymooners equipped with semi butler service. It is located at the heart of Seminyak and within walking distance to the famous Cocoon Beach, classy boutiques and cafes. 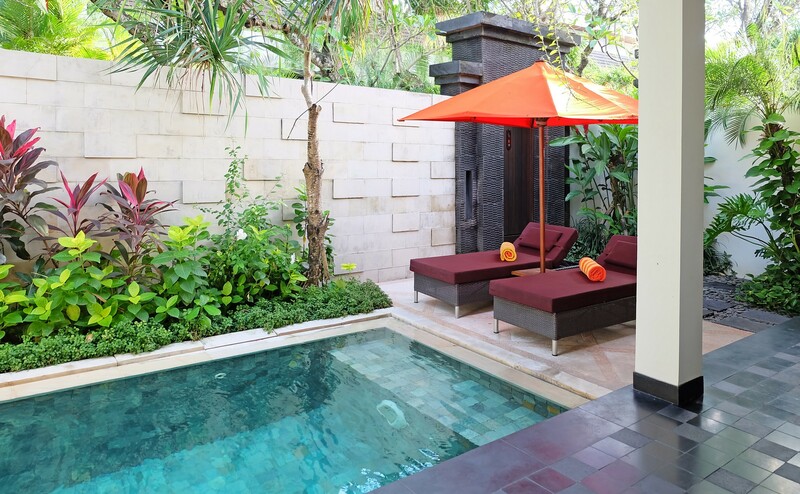 A combination of exotic tropical and modern ambience in the Pool Villas emphasizes peace and serenity. Each Villa features a queen size bed, en-suite bathroom with a separate bath tub and shower, and a private garden with a private pool. The Villas will immediately embrace you in its love haven. 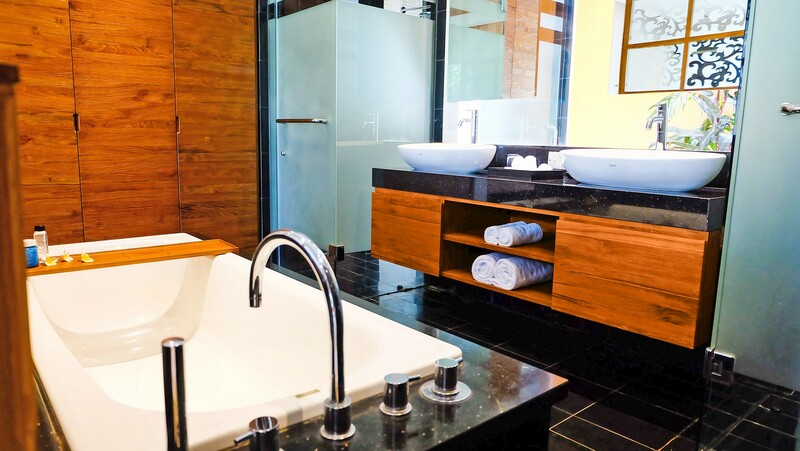 Each Deluxe Pool Villa features a private garden, swimming pool, indoor and tropical outdoor rain shower, double vanity and separate bathtub plus fully equipped kitchen. A two-storey Villa complete with a private garden, swimming pool, dining and living area and kitchenette. The master bedroom is located on the ground floor and is equipped with a queen sized bed, a suite bathroom with an indoor and tropical outdoor rain head shower, a double vanity and a separate bath tub. The second bedroom is located on the upper floor and is equipped with twin beds, a shower room and a double vanity with outdoor bale. Overlooking the main pool and surrounded by a lush green garden, The Sun Café and Sun Bar serves an Asian and International menu for breakfast, lunch and dinner. Make your stay unforgettable by indulging in private dining under the stars. Available in your villa with your own private chef (charge). Island Spa operates between 09h00 – 20h00 and offers a variety of spa treatments.